Most birds in the Warbler family have the word “warbler” in their names. Here are a few that don’t. The Northern Parula (pronounced PAIR-oo-la), at 4¼ inches long, is one of our smallest warblers. Most other warblers are 4¾ to 5½ inches long. 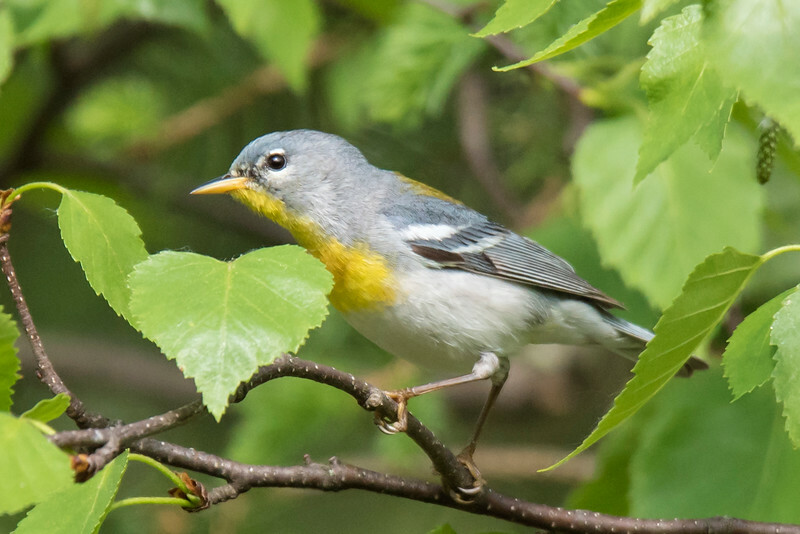 The Northern Parula is often hard to see because it tends to stay in the tree tops. It does sing a lot, however. Its buzzy, rising, trill of a song is so unique that you can usually recognize it after hearing it a few times. 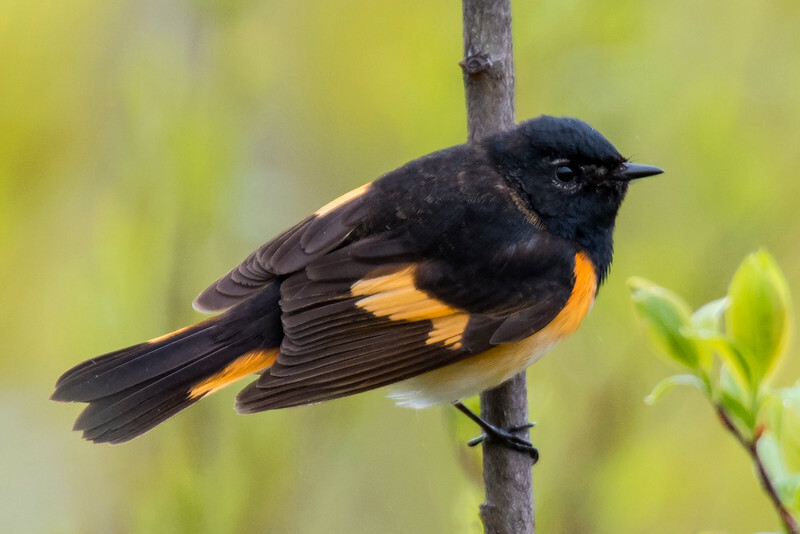 American Redstarts are found nesting over most of Canada and three-fourths of the United States (just not the southwest). This is a male. The female is gray where the male is black and yellow where the male is orange. They like to breed in open wooded areas and especially near water like lakes and streams. 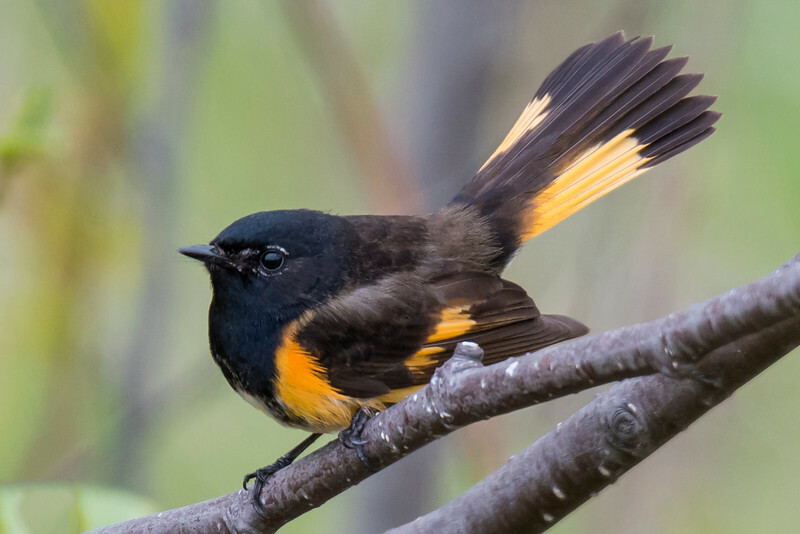 This Redstart is showing a favorite display behavior. It quickly spreads its tail and droops it wings. The sudden appearance of the light colored spots on the tail and wings is supposed to startle insects and make them easier for the bird to find. In summer, the Common Yellowthroat is found over most of Canada and the United States. 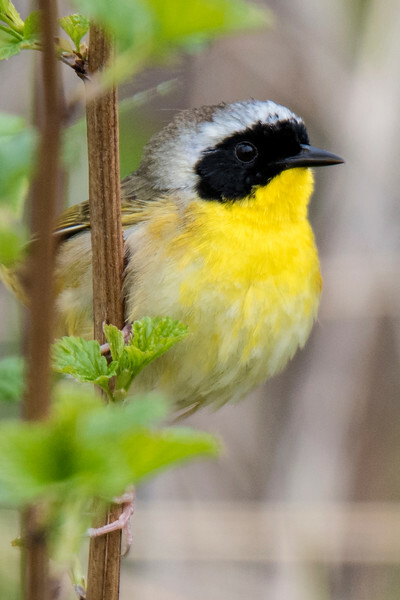 Most warblers like to nest in wooded areas, but the Yellowthroat prefers to nest in marshes. So it is found wherever there is a patch of cattails or reeds. The black mask confirms this is a male. It also has a distinctive call that sounds like wichity-wichity-wichity. The previous photos were all taken on my North Shore trip in May. This one was taken this spring in the woods on our land. 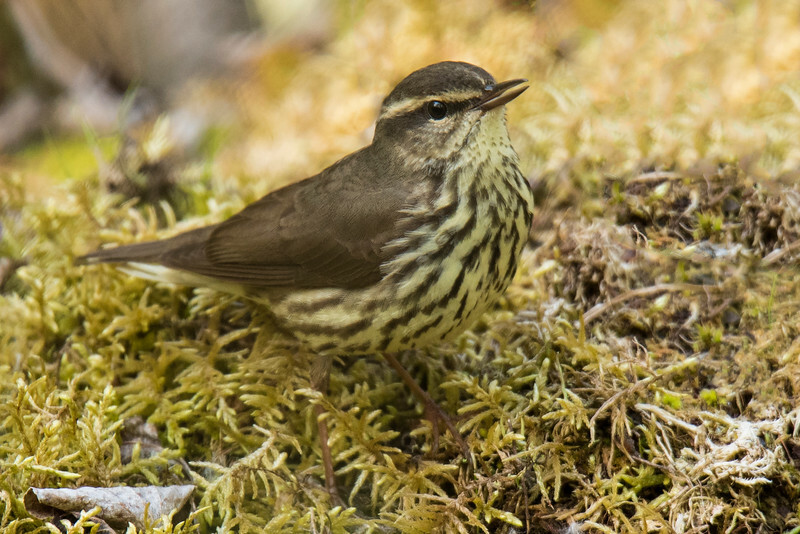 It’s another warbler but its name is Northern Waterthrush. It likes boggy areas that are located within a forest. It has a habit of constantly bobbing the rear half of its body up and down as it walks along on the forest floor. 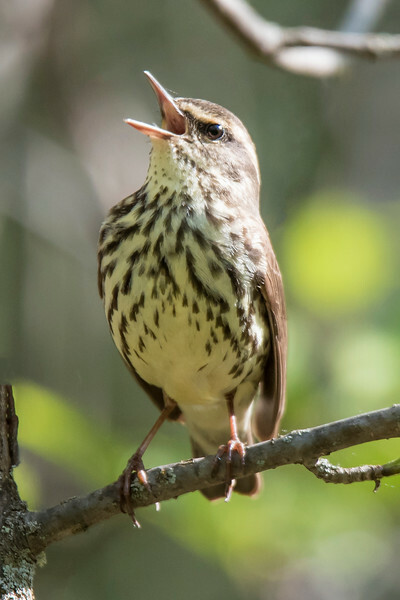 Here’s that same Northern Waterthrush perched on a tree and singing. 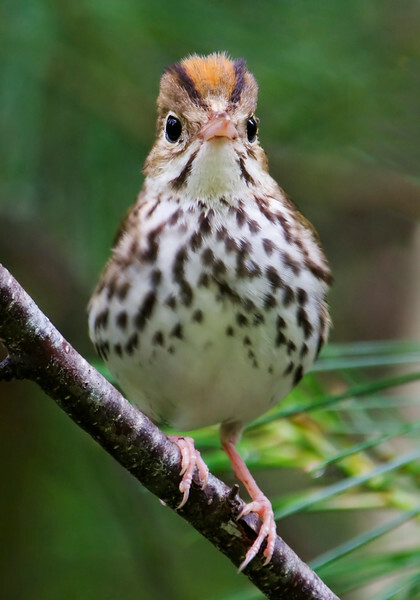 The Ovenbird is also a warbler. We have lots of them in our woods; we hear their teacher-teacher-teacher call from many locations. This is one of my favorite bird photos; the look on its face is so amusing. It was taken in Nova Scotia a few years ago.